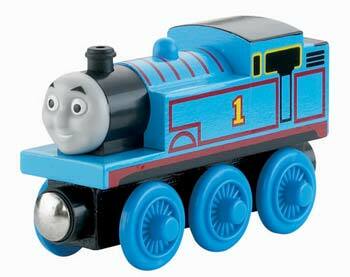 This is the Thomas & Friends Wooden Railway Thomas The Tank Engine from Fisher-Price.Suitable for Ages 2 & Up. Thomas is the No.1 blue engine. He's a cheeky little engine who always strives to be really useful. One Thomas & Friends Wooden Railway Thomas The Tank Engine.